If you’re searching for chronic heartburn and indigestion relief, look no further! Betaine HCl is among the top natural heartburn remedies. Learn what this marvelous supplement is and exactly how to take it. Baking soda, chewing gum, aloe vera, ginger, vinegar and mustard are other popular ways to ease heartburn naturally. This startling assertion begs the question: Why would you take a pill to further decrease your low levels of stomach acid? A better, more natural approach to indigestion relief, successfully used by many practitioners and patients of natural medicine, is to treat hypochlorhydria—the condition of low stomach acid production. If hydrochloric acid secretion is measured and hypochlorhydria is documented, or if stomach acid output is believed to be low, betaine HCl capsules can be taken on a trial basis; if they work, they can be continued indefinitely. In fact, one of the top natural heartburn remedies is to begin a therapeutic trial of supplemental betaine HCl and see if that brings indigestion relief. Betaine HCl is a naturally occurring, acidic form of betaine, usually derived from beets. Even if you do not undergo gastric pH analysis, a trial of betaine HCl can be safely undertaken, as outlined below, for mild heartburn and indigestion relief. If you have been diagnosed with GERD or are currently taking an acid-suppressing drug (such as a proton pump inhibitor), you should discontinue your medication on your own. Consider working with a qualified integrative physician to determine which natural heartburn remedies may be right for you. On Day 1, start with one capsule (usually 8-10 grains, or 500-600 mg) of betaine HCl, at the beginning of each meal. (Note: This means a full meal, not a snack.). Monitor for any side effects—a warming sensation, discomfort, pain, or burning in the throat or stomach. If you experience any of these symptoms after just one capsule of betaine HCl, stop. (You likely do not have a problem with low HCl and need a different form of treatment for indigestion relief, such as melatonin or d-limonine.) If these side effect symptoms are not present, proceed to Step 3. Increase your dose by one capsule (this would be two capsules or a total of 16-20 grains for Day 2) of hydrochloric acid (betaine HCl) at the beginning of each full meal. If you note any of the above side effects, decrease your dose to the level at which you had no side effects (the day before) and maintain this dose. If these side effect symptoms are still not present, proceed to Step 4. Increase your dose as described in Step 3. Each day increase the dose until you feel a warming sensation or until you reach a dose of five capsules of betaine HCl per meal. Do not take more than five (5) capsules with a meal without working in conjunction with a physician. This process will increase your stomach acid to just the right level to properly digest your food, thus working as one of the best completely natural heartburn remedies. One precaution is that betaine HCl should not be used at the same time as aspirin, ibuprofen, corticosteroid drugs, or other anti-inflammatory medications. These medications can cause stomach bleeding and ulcers, and betaine HCl can aggravate ulcers. Taking betaine HCl with meals not only can bring indigestion relief and serve as one of the most effective natural heartburn remedies, but it will improve digestion and help provide all the benefits of improved absorption and assimilation of nutrients. Without treatment of hypochlorhydria, keep in mind that enzyme systems, cells, tissues, and organs can’t repair themselves, and we age faster. So don’t be fooled by the myth of “acid indigestion.” If you are searching for non-drug, safe, and natural heartburn remedies and indigestion relief, find out if the problem really is low stomach acid production. If you have hypochlorhydria, correct it with betaine HCl. You’ll be helping your body heal naturally and function optimally. 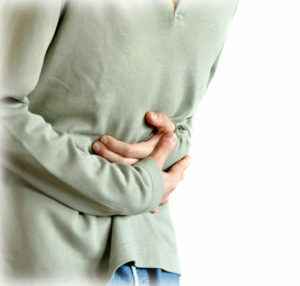 Looking for Genuine Relief for Gastritis Symptoms? Do You Have Experience with Betaine HCL? Some of you may already be successfully using betaine HCL one of the top natural heartburn remedies and for better digestion of your foods. If so, please tell us your experience. You’ll be helping thousands of other readers who are just now learning about this as a possible solution to their heartburn woes. Place your experience in the “Comments” section following the end of this article. 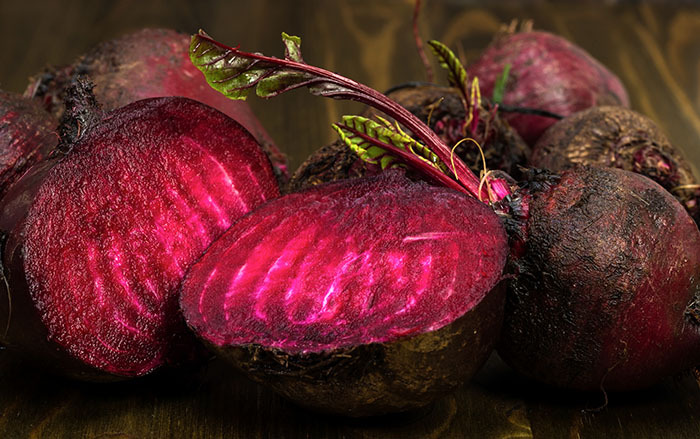 acid indigestion, aging, anti inflammatory, beets, betaine hcl, digestion, food, for osteoporosis, gastritis, gastritis symptoms, gerd, health, health news, heartburn, heartburn and indigestion, heartburn medication, heartburn remedies, hypochlorhydria, indigestion, indigestion relief, integrative, low stomach acid, melatonin, natural heartburn, natural medicine, nutrients, osteoporosis, pain, proton pump inhibitor, relief for gastritis, risk for osteoporosis, side effects, stomach acid, treatment for indigestion, ulcers, university health news. When you say no aspirin when taking hcl , do mean at the same time or not at all? I am on an aspirin regime. I have GERD and just took a BETANIE HCL but I opened the capsule and drank it with water since I can’t swollow pills, and I ate chicken with broccoli (SCD DIET) I’m having really have heartburns, esophagus feels like there’s acid, stomach burning and pain. Did i do it wrong? And is there any other way to get ACID in my stomach??!! Of course you shouldnt open the capsule. It will burn your esophagus. The whole idea is that the pill reaches your stomach rapidly where it can change the ph of your stomach very quickly in ten minutes or less to a very low level. The idea is that if you take it with meals that it will help to digest and break down the protein in the meal. As long as you start off with one tablet and make sure it’s washed down enough then shouldn’t feel too much negative effects. If you ever take this again only take the capsule or you could burn yourself and do damage. I would like to start this program. I have osteoporosis. Will this cause more of a problem? I know I should have more acid in my diet. Many year ago I read that when you go out of the country especially down south, you can easily get food poinoning. Some times mild and others really bad. It was suggested to take one 500 mg. cap of betane (HCL) with your last bite of food at each meal. The knowledge is that it will help you attack bacteria and other pathogens that can make you sick. I am a traveler and have followed this rule diligently. I have never gotten sick abroad. I do it also when i go to eat at restaurants.also. I am very happy that I found this info. I was on PPI meds for twelve years. I was told by my Dr that I would be on it for life. Two years ago, I told myself I have had enough and weaned off of them with Zantac pills. I then tried Apple Cider vinegar which helps, but does not fix the problem. I then had a bad upper respiratory infection that when gone, left me with Laryngeal Sensory Neuropathy. Similiar to LPR symptoms, it is rough. I prayed about this and eventually tried some HCL pills with Pepsin. Miracle happened. The sensation in my throat went away and I don’t have the urge to spit up food after dinner. I give all glory to God in this, but if you have GERD, LPR or any other similiar issue, please try HCL. I use the Best brand from Amazon. Truly amazing. It bothers me that main stream medicine wants you on drugs that will cause you more suffering and pain rather than heal you. I have hiatal hernia (diagnosed via endoscopy last month) and have suffered with GERD for 20 years. I tried H2 blockers and many PPI’s, and was finally put on 40mg/dy of omeprazole DR and found relief. HOWEVER, the results of years on PPI’s and multiple rounds of antibiotics are as follows; SIBO, 2 hip replacements, 1 hospitalized episode of diverticulitis, and now I’m battling C-Dif and low B12. I stopped the PPI’s and am suffering. Can betaine HCI help even with hiatal hernia? Also, what is betaine with Pepsin? And Wayne, I too give all glory to God who I thank for guiding me here. I was on PPIs for about 4 years.. Reflux got worse and suffered from SIBO. I eventually started taking ACV and Celery Juice and realized it was probably low stomach acid that my problem as they were the only things that helped. I decided to start taking HCL, as I was still getting the reflux and bloating/nausea. It worked miracles for the first month – no bloating, limited reflux and limited nausea. I felt fine after eating for the first time in forever. Then this week I got really sick with horrible diarrhea ( 3 days non-stop) and unbearable pains. I had to go to the ER and was told I had gastroenteritis from a virus. I was wondering if this could of been caused by the HCL? I never was properly tested for my acid levels and the doctors always tell me I need to be on PPI’s and I know that’s not the case. So I’m just nervous because I’m self-diagnosing and I know I’m not a doctor. Could there have been a connection? Has anyone else experienced this? Can anyone advise whether it’s a good idea to try HCL when suffering a reflux episode or is it better to wait until it subsides? Was any one taken Betaine HCL in powder form? I tried taking ACV with a meal a couple of days ago and had intense reflux symptoms afterwards. I was planning to try HCL, but now I’m thinking low stomach acid may not be my problem since I had such bad burning after the ACV. What are your thoughts? Its sad that most doctors dont check if your acid reflux /gerd is coused by low acid or high before thet assume and put you in high acid treatment. I went through this. A whole year . I couldnt breath properly, couldnt sleep my whole face would ache, my eyes got blurry, my throat and soft pallet constantly sore, my mouth was dry, went to so many doctors paid so much money. Even the ENT just prescribed me antiacids and told me my throat was swollen due to Gerd. And should cut out certain foods. I told him I don’t even use those foods . That didnt raise any flags with him. didnt test me why? I got so much worse . Blood tests showed I was anemic, and had high chance if getting food allergies. I had so many symptoms I didn’t even put down. My whole year was horrible . Until one day I decided to do what most doctors dont want us to do. I went on Google and inserted all my symptoms. The first 3 articles I read about HCL shocked me. I realised I almost died. Coz my body wasn’t able to protect itself I got sick from anything that came my way. I couldnt fight it and a result couldnt heal. I am currently on 5 Betain HCL before a meal and Im still not feeling a warm sensation or burn when I take them. That just goes to show how little stomach acid I had. I am so angry that I spent so much money on people I trusted to take care og my health and ended up having to diagnose and treat myself. I tested low in stomach acid years back. Never did much about it. I had bloating, acid reflux, heartburn, etc… Years later I decided to try betaine hcl. It really helped my digestion. I got up to 4 capsules of 640mg. Five seemed too much. Now I seem to need less and less? 3 seems to much, now 2 might seem to much. Having achy burny feelings in gut and just feel off. I have gut issues anyway and wonder if there’s excess acid making me feel worse. I’m afraid to stop betain hcl and start having worsening digestion issues. I’ve heard that you might only need betaine hcl for a period of time and then your body will start making its own??? I think your body starts making it’s own after a while and you can lessen the number of capsules. If u are on a PPI and want to try HCL should u stop the PPI imeadiatly and all together while starting the HCL.